Post Holiday ARC Reviewing | Live to read. Read to live. I took my Kindle on holiday with me last week – that’s the beauty of the Kindle. I can take SO MANY books on holiday and not have to worry about any kind of overweight charges whatsoever. It’s glorious. A ski holiday doesn’t lend much time to reading (I’d say sadly, and it is kind of sad, but then I totally love spending 7 hours a day flying down a mountain so you know, not that sad) but what time I did have, I decided to spend catching up on some the ARCs that the lovely people at Headline/Lake Union Publishing had sent me via NetGalley. I managed 3, which isn’t terrible going for a week I don’t think. 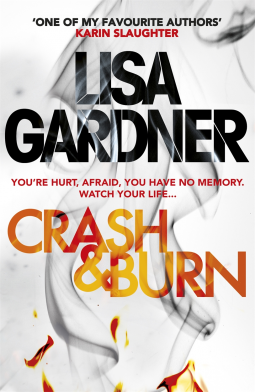 Crash and Burn is the first of Lisa Gardner’s books I’ve read; it won’t be the last. I love me a good mystery. From the blurb I was half expecting a Rizzoli and Isles-esque procedural (I love me some Tess Gerritsen, FYI) but this wasn’t that. Not that I was disappointed because I also love me a good mystery and this was that. Nicky Frank pulls herself out of the wreckage of her car late one night, crawls to the top of the ravine her car has plunged into and frantically searches for a child called Vero, a child that Nicky’s husband later tells the police doesn’t exist. DUN DUN DUN. As the investigating officer (along with the help of his girlfriend who I believe to be a recurring character of Gardner’s) well, investigates we realise Nicky is not all she seems and that her car crash might not have been as accidental as it first seemed: someone, for whatever reason, might be trying to shut her up. Permanently. Crash and Burn took a while to get going, which is never the best when you’re reading a thriller, BUT, once it picked up I really liked it. There were twists and turns and slow reveals and OMG I didn’t see that coming’s and once I got past the first 20% or so, it was well-paced and gripping. The main characters were all nicely developed (although I’d have liked a little more insight into Nicky’s brain injuries) and all in all it was a fun and thrilling holiday read. 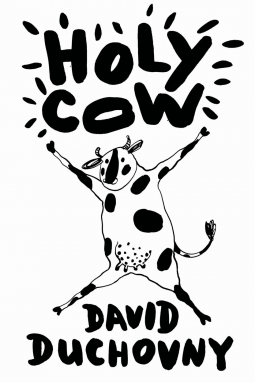 I still don’t really know what to say about Holy Cow. I wanted to read it, mostly, because David Duchovny and X-Files and my crush from years ago and I’m shallow. Does that make me a terrible person? I don’t know. Anyway, I read it last week and I still don’t know what to say. I think I liked it? It was weird. As in, really weird. It’s about this cow – Elsie Q – who escapes from her paddock one day, leaves her cow BFF flirting with the bulls in the next field and heads to the farmhouse where she watches tv through the window – a documentary that tells her about humans eating cows and suddenly Elsie has a light bulb moment: that’s where her Mother went. She decides to escape the farm and go to India where cows are sacred and hatches a plan with Shalom the Jewish pig and Tom the Turkey. Like I said, weird. & totally unbelievable and utterly utterly bonkers. It left me totally confused and yet still here I am thinking I actually kind of liked it. I liked Elsie, and I liked her BFF Mallory and I even liked Shalom and Tom, and parts of it made me chuckle and parts of it were such a combination of amusing and insane that I had to read them aloud. 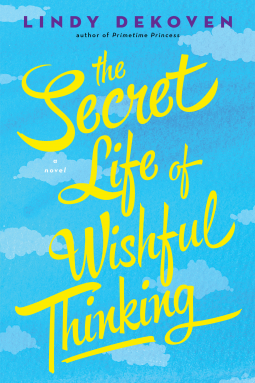 You will never have read a book like this before; you will likely never read a book like this again but for all it might be ridiculously far-fetched, it’s also kind of heart-warming. It’s worth a read – just, just make sure you go into it knowing it’s a bit nuts. This was a quick and easy read – just what I needed for a long journey. It’s not my kind of thing, usually and I doubt I’ll send all my pals out to buy a copy. The actions and reaction of the characters seemed a little over the top and out of the blue and I found myself a little bit frustrated by some – a lot – of choices that were made. Or maybe, not so much the choices as the reasons behind them. There wasn’t enough background; it was a little bit shallow. That said, I Queen of napping on the plane, read this instead of taking said nap and finished it yesterday when I should have been doing Other Stuff so you know, make of that what you will.